The new 22-minute tape posted Wednesday on a radical Islamist Web site is the first one from Osama bin Laden in nine months. On it, the al Qaeda leader urges Muslims to wage jihad against Israel because of its offensive in Gaza. U.S. counter-terrorism officials had been expecting that bin Laden would release a tape before the 2008 presidential election just as he had done four years earlier. On October 29, 2004, he released a videotaped address to the American people in which he said that it was irrelevant whether Americans elected Sen. John Kerry or George W. Bush as president. The key issue, as far as he was concerned, was that the United States needed to change its policies in the Muslim world. Bin Laden, however, made no comments during the 2008 campaign season, and his recent silence has been puzzling. The likely explanation is the large number of U.S. Predator drones armed with Hellfire missiles that have launched multiple strikes in the past year into the tribal areas of Pakistan where al Qaeda is headquartered and where bin Laden is believed to be hiding. Since the beginning of 2008, there have been at least 30 such missile strikes, according to a count by CNN’s Pakistan bureau. In 2007, there were only four. Those strikes have killed several al Qaeda leaders, including two on January 1 who were alleged to have had a role in the 1998 bombings of two U.S. embassies in Africa; strikes that President Bush mentioned in his Tuesday interview with CNN’s Larry King. The ramped-up pace of the Hellfire strikes has clearly interrupted al Qaeda operations and has increased the costs to its leaders of being visible. But the now 19-day-old Israeli offensive in Gaza would not be something that the al Qaeda leader could be silent about for long. After September 11, 2001, it became commonplace to say that bin Laden and al Qaeda had only latched on to the issue of Israel and Palestine belatedly. 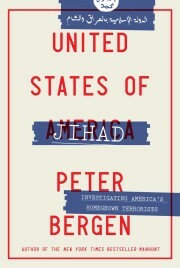 The most prominent exponents of this view were former Clinton national security adviser Sandy Berger and incoming Obama deputy chief of staff, Mona Sutphen, who published an article in Foreign Affairs magazine in November 2001 in which they argued that al Qaeda had never made much of the Palestinian issue before 9/11 and was only highlighting it in its recent statements to broaden its base of support in the Muslim world. Nothing could be further from the truth, as even the most casual reading of bin Laden’s most widely distributed pre-9/11 statements demonstrates. The al Qaeda leader’s first public declaration that he was at war with the United States was issued August 23, 1996. In that declaration, he is quite clear about where he stands on the issue of Palestine: “I feel still the pain of [the loss of] Al-Quds in my internal organs.” Al Quds, the Arabic word for Jerusalem, is the site of the al-Aqsa mosque, the third holiest place of pilgrimage in Islam, which was annexed to Israel in 1967. Bin Laden has a personal connection to the al Aqsa mosque, as his father’s construction company was responsible for its restoration in the 1960s. The site hosting the tape from the al Qaeda leader features audio of bin Laden and a picture of that mosque. So intense are bin Laden’s feelings about the Palestinian issue that, according to the 9/11 commission, he wrote Khalid Sheikh Mohammed, the operational commander of the 9/11 attacks, two letters pressing him to move forward the timing of the attacks on Washington and New York to June or July 2001 to coincide with a planned visit to the White House of Israel’s then-prime minister, Ariel Sharon. Khalid Sheikh Mohammed resisted the pressure. It is significant that al Qaeda’s first-ever videotape production, which was posted to the Internet in June 2001, focused heavily on the Israeli-Palestinian conflict. The tape showed pictures of Israeli soldiers striking a Palestinian woman and of a young Palestinian boy being shot. Bin Laden’s conspiratorial reading of the role that the Israel plays in the U.S. government is not credible, but it does represent his deeply held belief that the American and Israeli governments are one and the same. Might the new bin Laden tape further fan the flames of the Gaza conflict? Unlikely. Hamas has no desire to add to its problems by an association with al Qaeda, a group that it has condemned in the past. For its part, al Qaeda’s leaders have regularly criticized Hamas for participating in democratic elections, which they regard as not sanctioned by Islamic law.